Design Objects & Furniture - Is it a replica or just a fake? Design Objects & Furniture – Is it a replica or just a fake? What’s really going on in the Design Objects & Furniture market ? Have you noticed how the fake design objects furniture and lighting market has just exploded in popularity over the past decade? Suppliers such as Matt Blatt, Sokol, Mica Lighting, Replica Furniture, Relaxhouse, Zanui and HomeQ amongst others are now operating in Australia and enjoying phenomenal success. The industry turns over more than $50million per annum. People from all social and economic backgrounds are indulging themselves with cheap Chinese knock-offs posing as authentic designs by everyone from 20th century masters like Charles and Ray Eames, Eero Saarinen and Arne Jacobsen to contemporary designers such as Tom Dixon. These protagonists not only dare to attach the name of the original designer to their product, thus suggesting that the production of these replicas is somehow sanctioned, but also take advantage of the design’s thoughtful and often costly marketing campaign. They claim that they are providing a great service to the public by making good design affordable for all, but in reality the overriding benefit is only to themselves. Their business deprives the real designers and manufacturers of the rewards of their investments in talent, marketing and research. A recent case in Australia involving Tomek Archer, a local designer whose Campfire table (which is held in the permanent collection of the Art Gallery of Western Australia and is an Australian International Design Mark winner) was copied by Milan Direct but promptly removed when it was pointed out the design was still under copyright. Their excuse was that they had no idea the table was an original design! This proves there is no great love or knowledge of design within these companies, only an eye to the main chance. BRW wrote a great article earlier this year, which outlines the case for standing up against the fakers. These counterfeiters insert the word ‘replica’ on item descriptions to escape the law. Interestingly, the word comes from the Latin verb ‘replicare’, meaning to repeat the exact work of the original artist. This is clearly not what is happening. 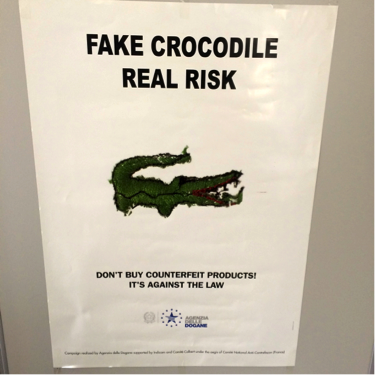 In Italy, the epicenter of all things design, the community would not tolerate the business of counterfeits any longer. In response to this shameful arm of retailing, popular interiors magazine Elle Décor Italia responded with the launch of the Be Original movement in November 2012 in order to raise public awareness of the ever expanding and damaging phenomenon of counterfeiting. The 100% Original Design exhibition, which was on show in Milan at Palazzo Reale in April 2014, was the culmination of this awareness campaign. It featured a selection of iconic objects that have helped write design history from 1945 to date, and are still in production. The exhibition highlighted the stories behind the objects and how they came to be – for good design is never without reason – and eventually led to the Italian Property Code, stating that those who produce or commercialise imitations of copyright designs will be punished as counterfeiters. “Creation is the birth of something, and something cannot come from nothing. When someone creates something; a painting, a poem, a photograph, the creativity comes from an idea, from a feeling, from emotion, or from a combination of ideas, feelings and emotions that are somehow ‘reborn’ from all our experiences and perspectives. Creativity is the desire to express ourselves. To formulate these expressions, we have to draw from our reservoir of experience, dreams, desires and experimentation and mix together what was, what is, and what could be […….] I don’t think you can learn it, it is rather something that evolves. Your perception of everything in your life fills up this reservoir “. 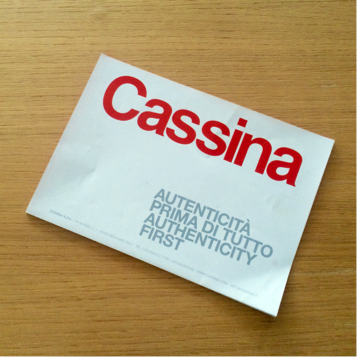 Cassina, one of Italy’s leading manufacturers works like a patron with many designers under it’s manufacturing umbrella. They recognise and protect creativity making sure designers collect royalties. They also sponsor innovation and research. The UK recently passed new copyright laws bringing them into line with the European Union, where furniture designs are protected for 70 years plus the life of the designer. In the case of Ray Eames, who passed away in 1988, her designs are protected until 2058 in the rest of Europe, but only 25 years in the UK, which means her lounge chair designed in 1956 ran out of copyright in 1981. A three-year crossover period is in place and the new laws won’t come into effect until 2018. British designer Tom Dixon is rightfully outraged that in Australia fakes of his designs can be sold blatantly online and in stores using his name. Googling “Tom Dixon Lighting” will give you a plethora of replica sites with prices on the Etch Web pendant light in stainless steel ranging from $540 to $1500. (The original retails for approximately $2000 and can be purchased at dedece. Replica sites often use the exact wording used on the authentic website – have they no shame? They use phrases like “Tom was drawn to the material” as if they were actually involved in the design and manufacturing of the real thing. Tom Dixon is still very much alive and still producing. But for him, to pursue legal action would be prohibitively expensive. In this video Dixon and others vent their frustration with the situation. Design Consigned has listed some pre owned Steelwood stools by French designers Ronan and Erwan Bouroullec, which retail new at Cult from $500. At the end of the day you can purchase your replica Eames or Saarinen, but surely it’s ultimately an unsatisfying experience. It’s not an object you can leave to your grandchildren. Who can say whether it’s even going to last five years, let alone two generations? Authenticity will hold its value over time as real objects are made with the exact materials and to the exact specifications intended in the original design. The beauty of the authentic purchase is not only in its physical attributes, but in knowing your money is going to the rightful designer, manufacturer and retailer. The fakes are doomed to a short life in your home and much longer in landfill. The pressure is mounting for new laws here in Australia, with the Design Institute of Australia recently advocating a submission to the Federal Government’s Advisory Council on Intellectual Property. So will you refuse refuse and as Sir Terence says “invest in honesty” ?